On september 14, 2017 took place the opening ceremony for the new ATLÉTICO DE MADRID Stadium, the amazing WANDA METROPLITANO. The Angloamerican Consortium CENTERPLATE.ISG will be responsible of the sales and marketing of all the VIP areas of the new stadium, as well as managing the whole catering and food services of the WANDA METROPLITANO for the next years. Since August 2017, STEELMAN SPORTS is CENTERPLATE`S owner representative in Spain to coordinate the development and growth of the Project. 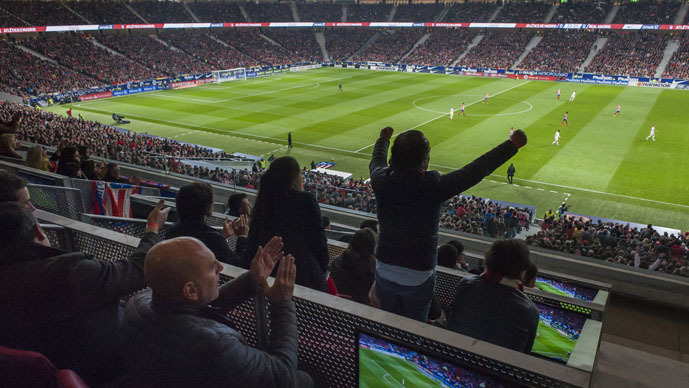 Categories: Projects Tags: Atletico de Madrid, Centerplate.ISG., Hospitality VIP, Representation, Wanda Metropolitano.